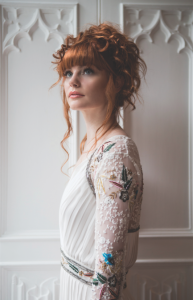 The stunning range consists of an array of styles from beautiful Boho to 1920’s Art Deco and some more classic bridal silhouettes, featuring beautiful beading, stunning sequin and embroidery detailing on lavish lace and delicate fabrics. There are flowing maxi’s, midi’s, shifts and tea dress styles – something for every shape and theme that you can keep forever and wear again and again, all with the Frock and Frill signature hand-crafted opulence. 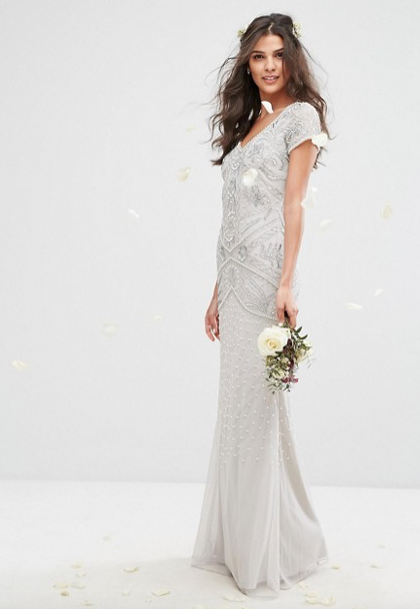 Prices range from £95 – £165, so perfect for the bride to be that doesn’t want to totally break the bank with the cost of her wedding dress and bridesmaid gowns, but with absolutely no compromise on quality and style.